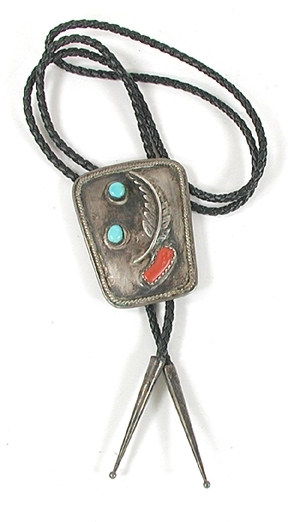 "Paula says - "In my opinion, this vintage bolo shows all the design characteristics and workmanship of being Navajo made. 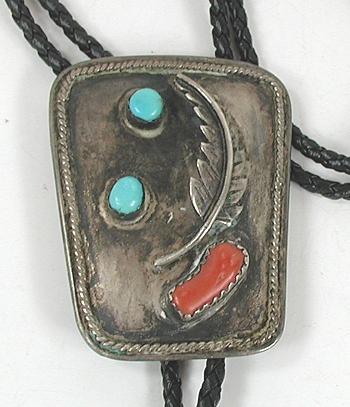 But because there is no hallmark that we can attribute to a specific artist we can't legally sell it as Native American made - read more." 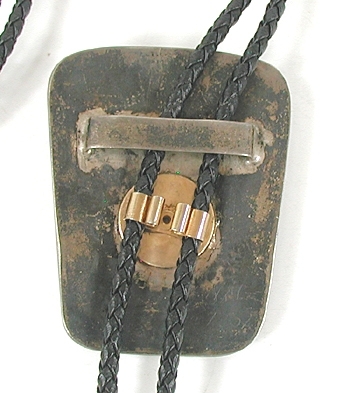 Slide is 2 1/2" x 2".